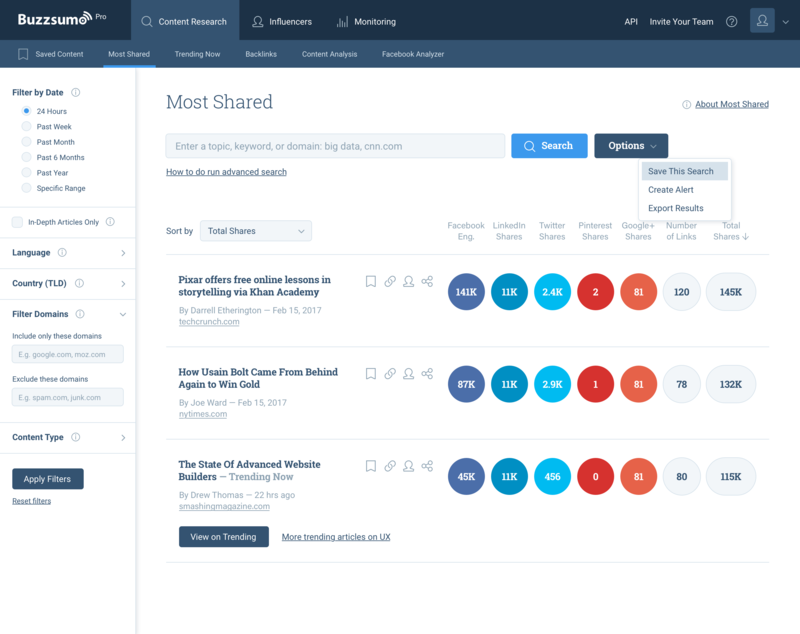 Today I’m sharing a custom UI audit report for BuzzSumo — a popular analytics tool for content marketers. I’ve always admired their product success story, and did a little dance when they asked me for UI/UX help. Every single day founders (myself included) are bombarded with feature requests. Our gut instinct is to rush ahead and provide as much customization “power” as we can. But do users really need endless choices? Today we’ll explore three possible levels of customization. You’ll see how three web applications handle reminder settings in totally different ways. How do you organize your web app when you have multi-level navigation and tons of settings to manage? Here’s a good example to learn from. Today we’re doing a brief teardown of Tito, simple and powerful event management software that has become the industry standard lately. Even the most advanced, polished apps can have painful UX flaws. Today I’m doing a video teardown of MailChimp, powerful email marketing software that I use every day. We’ll walk through certain problems with lists and menus, and identify common rules for them. Watch the video below for details. Building a product, putting together a team, or promoting a personal consulting brand? This exercise will help you stay true to your values in the rush of everyday tasks. Today is the day when you’ll define your brand in simple human words. We face multiple challenges when designing workspaces. How do we keep it clean while making it functional enough? How do we decide which features are important? Today I’m doing a video teardown of Bookagram, an iPhone app created by my friend Goran Blagus. It helps users quickly design printable photo books. Watch the video below to see how the app works, and how we can make it better. UI Practicum #6. What if Your Users are Ignoring an Important Feature? Sometimes SaaS founders end up in a very interesting situation. You have a cool feature in your web app, but users downright ignore it! It’s not that they can’t find this feature — they aren’t even looking for it. Ouch! It hurts, because you invested your time into building this awesome, useful thing… And nobody cares for it. What can you do to prevent this from happening? Earlier in UI Practicum we dramatically optimized a scheduling screen by identifying the most common use cases and separating them from each other (read the full story here). Today we’ll help Dave Rodenbaugh to optimize some settings for their AWPCP project (which stands for Another WordPress Classifieds Plugin). Dave was inspired by our previous example and concluded that we can apply the same principle for his case. In this issue of UI Practicum we’ll talk about best practices around thumbnail views. Photo galleries, ecommerce stores, visual blogs — that’s where you’ll need thumbnails most often. In plain English, a thumbnail is a small preview image, accompanied by a text label. Sounds easy, right? But there’s a ton of potential design traps! Let’s make sure you don’t fall into them with your next project. Data tables are the core of any web application, so any logical flaws in them will cause plenty of confusion to your users. In this issue of UI Practicum I’ll show you the mistakes to avoid with data tables and tabs.